Systematically structured and prepared with the student in mind, the book conveys in one volume the necessary basic technical building construction knowledge to enable readers to implement a wide range of designs. 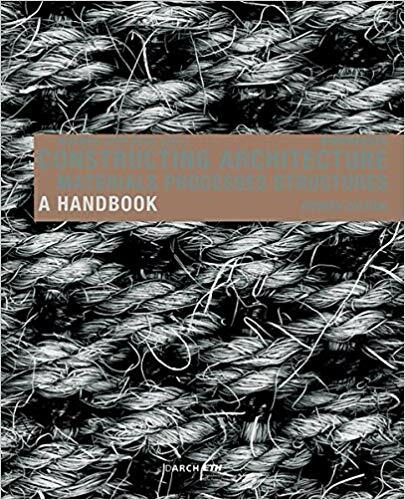 For this reason, over the last 14 years, it has developed into an indispensable information and reference handbook, not only for students and teachers, but also for architects. The 4th edition of this standard work for building construction has again been revised in terms of content and illustrations. References to standards, thermal insulation standards, and some project examples have been updated; they are now comprehensively and systematically documented, explaining the design process from start to finish.